When celebrating the big no. 2, what else is there to do but Flamingle?! When my good friend, Lindsey (who is also the fabulous event manager at El Chorro), came to me with the idea to throw a flamingo-themed birthday party for her soon-to-be two-year-old munchkin, I was more than excited. It was a flawless event filled with pink tropical decor that was SO on point, not to mention, it all was made possible in collaboration with some of our favorite industry friends. Even better, it was featured on Style Me Pretty Living! Check out all the details below. It will leave you yearning to host your own flamingle shin-dig. How perfect are these flamingo desserts from Ruze Cake House?! Cupcakes, cake pops, macaroons AND cake! This family just warms my heart. Lindsey and Roy love their little girl so much and it was so fun to see as they celebrated her second birthday! I just had to get myself in front of this adorable flamingo backdrop. 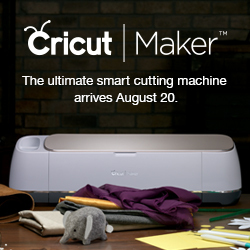 Here’s a flamingle secret…I made this with my Cricut Explore and you can, too! I just loved seeing these little besties pose for the camera! The day wouldn’t have been complete without the behind-the-camera geniuses, Amy and Jordan Photography! It’s always a good time when they hop IN FRONT of the camera. Miss Makena was surrounded by love and flamingos as she ended year one. Year two, Makena is ready for ya! Thank you to Lindsey and Roy for letting me be a part of this special occasion. To see more details and how you can make them yourself, check out all the goods here.